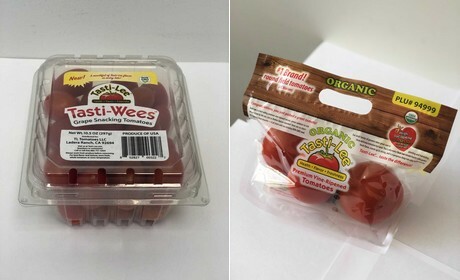 Tasti-Lee brand tomatoes are now available in grab-and-go packaging and a snackable size. According to the company, the aim is to offer convenience to consumers as well as value. "Known for their deep red color and long-lasting, garden-grown flavor, Tasti-Lee® slicing and salad tomatoes are now offered in a convenient, pre-packaged 1.25 pound bag," the company said in a recent release. "The Tasti-Lee brand is now easier to find at shelf and consumers can examine each tomato before making their purchase." The new bags are available for both conventional and organic varieties. According to the company, organic Tasti-Lee® tomatoes account for almost one in every three organic tomatoes sold in the US. Tasti-Lee is now also available in a grape snacking version, named Tasti-Wee’s®. These tomatoes have been hand-harvested and are also red in color. Both Tasti-Wees and Tasti- Lee’s in the new bags will be available in early 2019 at retailers across the U.S.